To be the largest single day, multi-course golf outing with the highest charitable contribution in the world. Over 62,000 golfers, 825 events in 34 states have raised more than $4.1 million for charities! See our infographic for more. 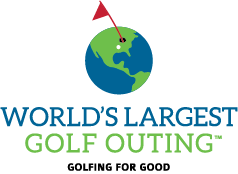 August 5, 2019: The 9th Annual World’s Largest Golf Outing is on target to be the biggest and best event yet with a new date to help get the most golfers playing as possible. If a course already has a scheduled event that conflicts with August 5, both Sunday, August 4, and Tuesday, August 6, are available alternate dates. 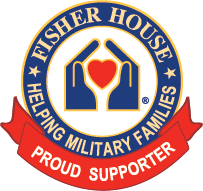 For more than 25 years, the Fisher House program has provided a “home away from home” for families of patients receiving medical care at major military and VA medical centers. These homes offer free, temporary lodging to military and veterans’ families, allowing them to be close to their loved one during a medical crisis and focus on what’s important—the healing process. There are 82 Fisher Houses* located in the US, Germany and United Kingdom. Each $10 donation (made by players) fee made upon registering for our event, covers the cost to house a family for one night at a Fisher House facility. Once downloaded, you must fill out all relevant information and sign the document. Then, you can upload the completed form to our course registration page in Step 2. Complete the course registration survey and attach your completed License Agreement form to this page. Congratulations, your course is registered and will be displayed on our website within 2 business days! Note: Courses are responsible for providing tee gifts for each player worth between $8-$10 in wholesale cost and prizes for tournament winners. A logo’d gift bag will be provided for distribution to each player. Logo'd bag, event registration, marketing collateral kit, digital creative assets, event manual, best practices, FAQs and TONS of media support!